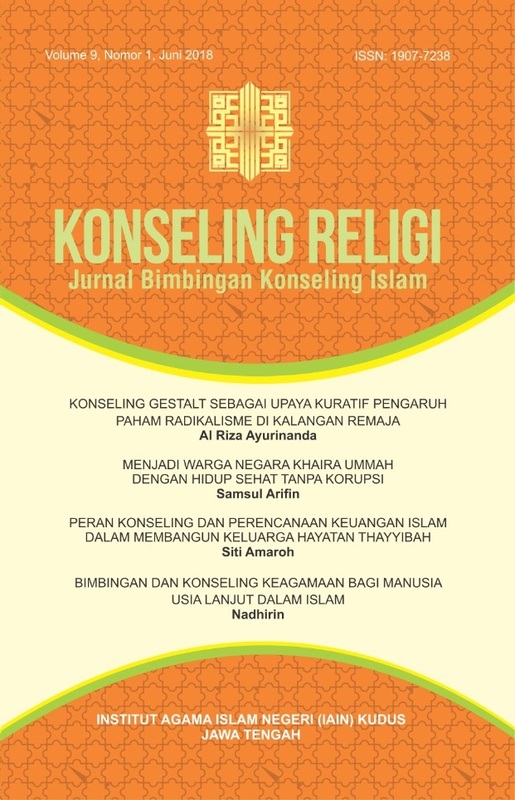 KONSELING RELIGI Jurnal Bimbingan Konseling Islam(ISSN 1907-7238; E-ISSN 2477-2100) accredited B Ministry of Research, Technology and Higher Education No. 36a / E / KPT / 2016 dated 23 May 2016, is an academic journal that emphasizes on actual issues related to Islamic guidance and counseling. 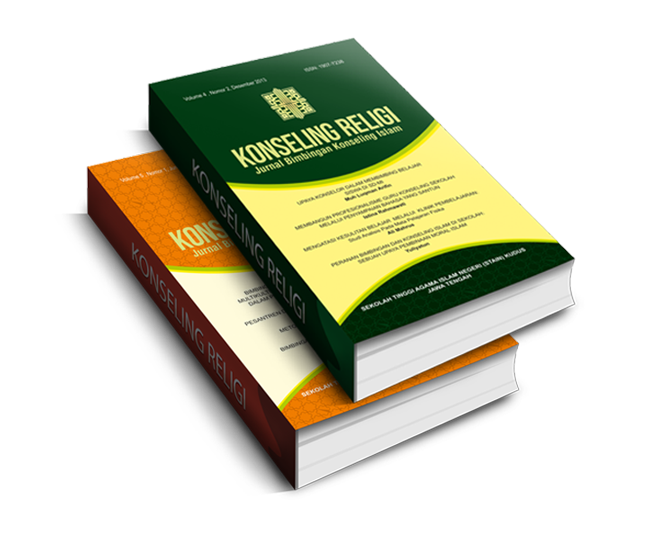 Journal of Counseling Religi Journal of Islamic Counseling Guidance is published twice a year (once every six months, issued in June and December) by the Study Program of Guidance and Counseling of Islam Department of Da'wah and Communication of Islamic Institut of Religious Affairs. SK ISSN was published on July 31, 2006 and is valid since the first Journal of Vol.1, No 1, June 2010. The editors receive contributions from experts to submit their thoughts related to da'wah, guidance, counseling.